If you require landscape gardening then look no further than JF Garden Services who are based on the outskirts of Farnham, Surrey. With a wealth of experience in the landscape and horticultural industry, our fully qualified team will bring you exciting conceptual projects. No project is too big or too small, whether it be driveways, fencing or soft landscaping our design team will bring new dimensions to your garden. We believe in 100% customer satisfaction. 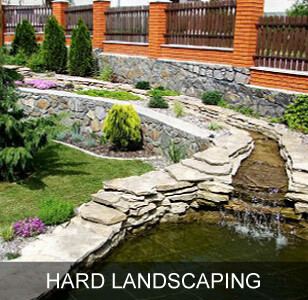 All our garden services are completed to the same high standards with a focus on a keen eye for detail. That's why every customer is delighted with the outcome of our work. JF Garden Services provide competitively priced, professional and efficient hard landscaping services to customers in the Surrey, Hampshire and West Sussex areas. Our hard landscaping services range from grounds maintenance to private households to a full garden makeover incorporating fencing, aggregate supply and installation and rockeries. We can also offer contract work for commercial clients such as healthcare service, schools, retail parks, local authorities and parks. for a free no obligation quotation. 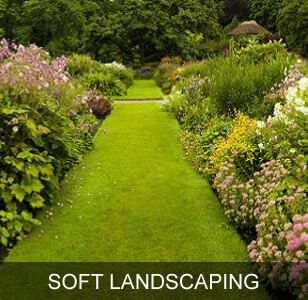 JF Garden Services provide competitively priced, professional and efficient soft landscaping services to customers in the Surrey, Hampshire and West Sussex areas. Our soft landscaping services range from garden maintenance to private households to a full garden makeover incorporating turfing, planting, garden clearance. We can also offer contract work for commercial clients such as schools, business parks and the local authority. for a free no obligation quotation. 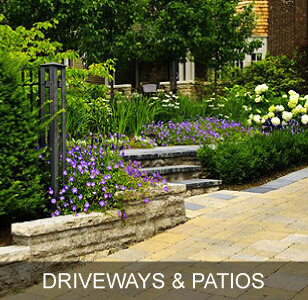 JF Garden Services provide competitively priced, professional and efficient driveways and patios installation service. We can supply the highest quality block paving, and decorative aggregate for your driveway and quality sandstone or Yorkstone ofr you patio. 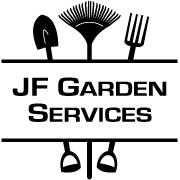 JF Garden Services can come around to your property to discuss the options with you. Contact JF Garden Services today for a FREE No Obligation, or some friendly, professional advice.